This post isn’t really going to be music related but it is something I want to get off my chest. I’m going to confess something. I’ve never owned a Macintosh, a Mac Pro desktop, or the slim and elegant Macbook Air. I’ve not even owned the powerful Macbook Pro. I’ve never owned a Shuffle or an iTouch, not even an iPhone numbered one thru 4s. In 21 years the only reason why I can’t say I’ve never owned an apple product is the iPod that I’m currently listening to, which by now is from the technological Stone Age (it doesn’t even have a touch screen!). But sitting here, writing on a machine that I bought in lieu of Mr. Jobs’ lineup of a Mac laptop, he still has done me a great service that I can only repay by sharing. 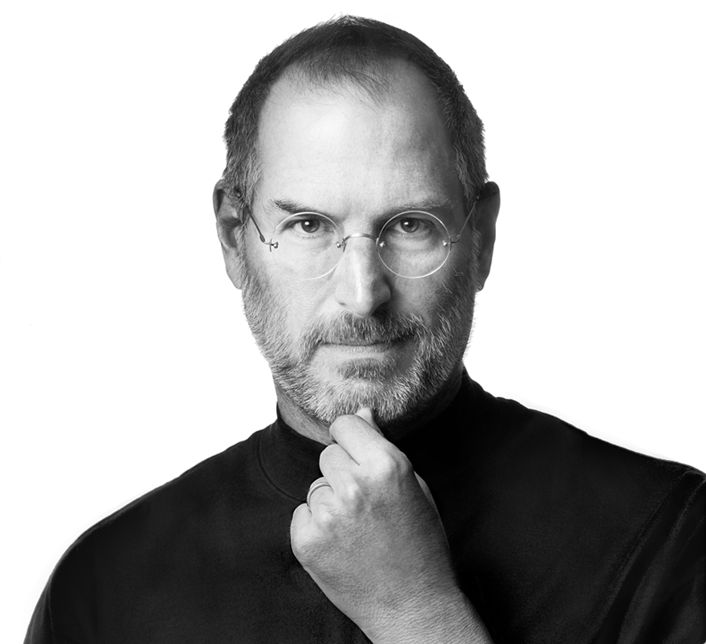 I’m not here to tell you the impact that Steve Jobs had on the computer industry or that his dream of a personal computer is a major reason I, as a young kid, had a personal computer in my house. Someone would have eventually gotten the idea, hell someone probably even had the idea before Mr. Jobs, but it was Apple at the forefront of the computer revolution that allows me to write this sitting at my desk in my home. You don’t need me to say that Jobs’ impact as head of Apple revolutionized cell communications with the iPhone and that his iPad tablet is changing the way companies can do business and students such as myself can take notes, share them and stay wired to the rest of the world with a tablet. I wanted to toot his horn just in case you weren’t sure how important he was and still is, not just in the world of computers, but also in that everlasting quest for technological perfection. As Jobs’ life and work become his legacy, I wanted to share what Jobs’ conquests meant to me: that the dreamers haven’t quite lost yet. Apple wasn’t started by a man with a fancy college degree, but a college dropout who audited classes while sleeping on friends’ floors and returning cans for money. Jobs’ aspiration wasn’t to be a businessman and Apple wasn’t created simply to make money. The company’s modest beginnings in a garage so sharply contrast with its current success and this paints such a strong rag to riches dream that it’s founding mission sometimes gets obscured. This, though, is what resonates with me the most. It gets hard nowadays to recognize that not everything Jobs touched turned to gold and that many of his works were financial failures. It took a legend to remind me of something that I had long forgotten, that the path to success does not start with a college degree, nor end with the lack of one, but dreaming and that success itself is not defined by financial reward, but by making your fantasy reality. Despite the stress in academia to stay grounded and to be realistic, Jobs reminded me that being grounded is just a state of mind and that unrealistic dreams are only those you don’t have the passion to see through to completion. The grind of everyday life made me forget that I must limit the size of my dreams only to the limit of my personal ambition, that the path I choose must be my own and that success will come regardless of how others measure my success but I won’t forget ever again.